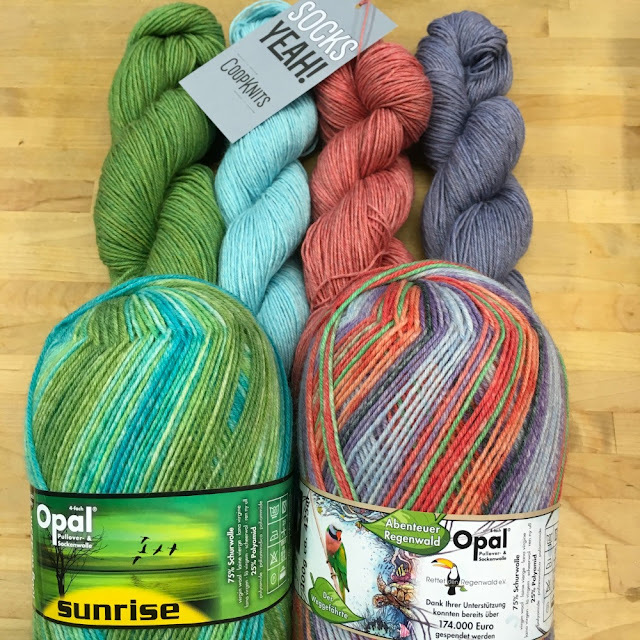 The 7th Opal 4ply collection of 2017 has arrived... Energy. There is still some Sunrise and Schafpate in the shop, but once they're gone they're gone! As usual 1 ball makes 1 pair of socks, or 2 pairs of short socks, or 2 short cowls. You could make 2 hats, or at least 2 pairs of small hand warmers, or several small gift bags or 20 small bunting flags! 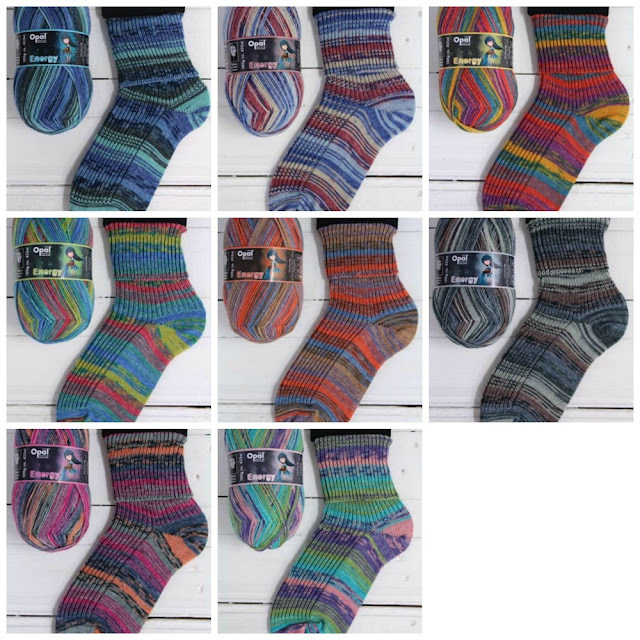 Or how about mixing it up with our solid colour Socks Yeah 4ply.